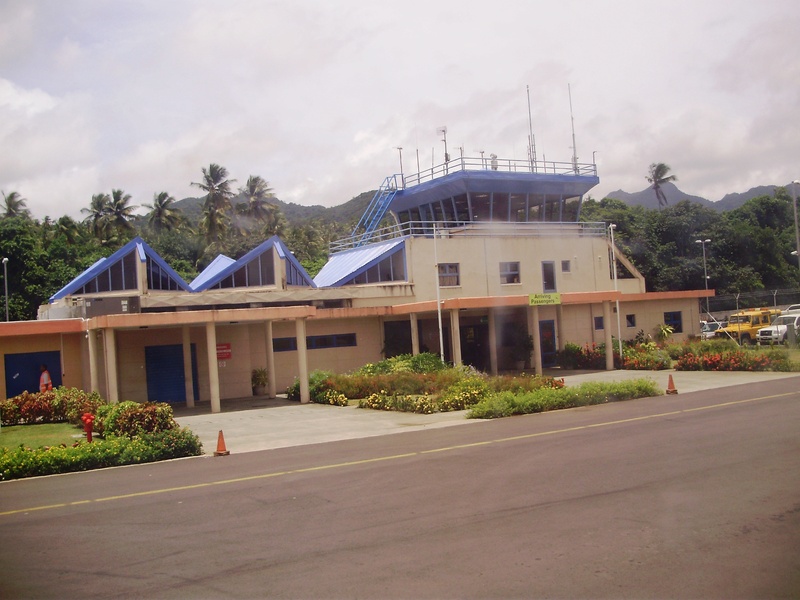 When booking your flight to Dominica, your destination airport will be Douglas-Charles Airport (DOM). 1-767-445-7100 is the main airport line. 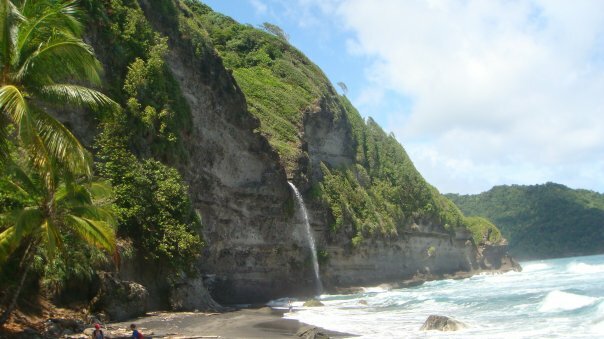 To see what your approach to Dominica will look like click here. If you are traveling with a pet, arrangements need to be made well in advance before leaving/entering the US and Dominica. ***Once you arrive at the airport in Dominica you still will have a one hour drive to Ross University/Picard area. Bring Dramamine if you are prone to motion sickness. It is a winding, curvy road. American Airlines can get you all the way to San Juan, Puerto Rico. As of April 2013, American Airlines is no longer flying from San Juan to Dominica but is partnering with Seaborne Airlines who will continue on to Dominica. An overnight stay in San Juan may be required depending on where you depart from. For convenience sake, many overnight at the San Juan Airport Hotel. You basically roll out of bed and you are standing at the Seaborne check in counter. It’s super convenient. I recommend signing up for the AA frequent flyer program-might as well accrue a free trip while traveling back and forth! Liat . Some people like to transfer to Liat airlines once they hit Puerto Rico because of cost effectiveness. Keep in mind that Liat has its own luggage size/weight limit which may differ from the airline you are transferring from. Confirm any resevervation with Liat 72 hours before your flight, but also the day of the flight. Liat has a bad habit of changing flight times the morning of the flight. Know that delayed luggage is the norm for Liat. Don’t be shocked when it happens. Make sure that you have a change of clothes and some toiletries in your carry on. Liat will deliver your bags to Ross (RUH) when they arrive. The Liat counter at Melville Hall/Douglas-Charles Airport is 767-445-7242. You can also take another US flight carrier to one of the other islands like Barbados or St. Maarten then take Liat to Dominica. Anytime you exit Dominica by plane or boat, you will have to pay a departure tax of 59 EC per person (22 USD). Flying home to the US every break can get expensive. Some students take the opportunity to island hop instead. You can travel by air (Liat, Air Sunshine, BVI Airways) or by sea. There is a ferry that taxies from Roseau/Dominica to Guadeloupe, Martinique, St. Lucia, Marie Galante, and Les Saints. It is cheaper to take the ferry but not the best choice if you are prone to motion sickness. The ferry is called the L’Express Des Isles. You can book the ferry through Whitchurch Travel Agency above the IGA Whitchurch grocery in Picard/Portsmouth. There is an additional ferry called the Caribbean Spirit that travels between Dominica, Martinique, Guadeloupe, Marie Galante etc. There are several cruise lines that visit Dominica. They dock in the capital, Roseau, one hour away. For any parents out there that will not fly, this may be an option for their visit. There are also students that arrange their final departure from Dominica by cruise ship. This gives them time to relax before returning to the US and allows them to bring more luggage than would be allowed by air. This is not something that can be booked online. If you are interested in this you need to call the cruise line directly to see if they will accommodate this kind of request. Some of the larger companies that dock here are Princess, Oceania, Celebrity, and Norwegian. I know people that have successfully done this through Princess Cruise Lines. Do you know of any restrictions on bringing packaged food onto the island? Such as beans/granola bars, etc? Prohibited items are listed here on pages 392-394. I’ve called American Airlines twice now about the carry-on weight restriction, and both times they said that there was no weight restriction just a size restriction (though they definitely emphasized the 70lb limit on the checked luggage). Also, when I went to the AA.com website there was no mention of it. Is it possible that this rule has changed, and they are just emphasizing the size? (After all, I could theoretically be 50lbs heavier for the same ticket or whatever). Yes I see that the AA website no longer mentions the 40 lb carry on rule. They very well may have done away with it. Thanks for the update. What about getting a taxi from the airport when you are coming back from break? I am scared I am going to be stranded! Are there taxis waiting at the airport or should I arrange one? There are taxis at the airport. I set up a ride in advance so I don’t have to worry about it. We use Kenny (https://louisiana2dominica.wordpress.com/2011/03/31/kennys-taxi-service/). You can find a link to a list of other drivers under the “transportation” tab. Go see Keziah George in Immigration and get a letter for sure. That should cover him. Also, always travel with your Ross ID. Once when I had a pending visa letter with me, the American Airlines employee in San Juan told me I could not get on the plane unless I showed either my university ID or a Dominica drivers license which would prove that I was allowed in Dominica. She said that was “the law” and insisted that every AA employee does this, but she is the only person who has ever asked me for additional ID. You never know when someone in immigration/customs is going to make it an issue just because they can. I was wondering if you knew about the Immigration stamps. In the excitement of 1st semester, I never checked my fiance’s stamp, and when I did, it said “3 wk (or month, I can’t read it) stay. Well, it’s been 3 months and we are leaving in 18 days! Does anyone in immigration actually pay attention to these, or if we get a letter from Ross about his pending VISA will we be okay? I understand that due to immigration laws that students must hold a round trip ticket when they arrive on the island. But, isn’t there a way that students could just stay on the island during the break if they hold a student visa or something? Yes it is customary to have proof of a round trip ticket for immigration. Students can stay on island over break. See my post @ https://louisiana2dominica.wordpress.com/2010/08/28/melville-hall-night-landings/ . The weight limits you mention for the Eagle are correct, but if you check the bags in Puerto Rico (and sometimes if you check them in the U.S.) for it to be “free” (no added charges), the total weight of the 2 checked suitcases cannot exceed 70 lbs even tho the limit for either bag is 50 lbs. If one weighs 50, the other can only weigh 20. Sometimes they won’t take any excess baggage above the 70 lb total, even for a fee. One suggestion is not to have your carry-on with you (especially in Puerto Rico) when you check your luggage. That way, they never weigh the carry on, so you can take alot of heavy, small items in the carry-on to keep the total weight of the checked bags as low as possible.